The first Avenger is currently dominating the global box office in Marvel’s Captain America: The Winter Soldier. Chris Evans, the man who portrays Captain America, dons a dark blue leather suit embellished with a white star and stripes for the film. The costume looks good, despite exhibiting a mild country confusing fashion faux pas. Captain America’s Winter Soldier look is now available for fans courtesy of Film Jackets, a website that specialises in creating high quality jackets that feature in movies, games, comics and television series. 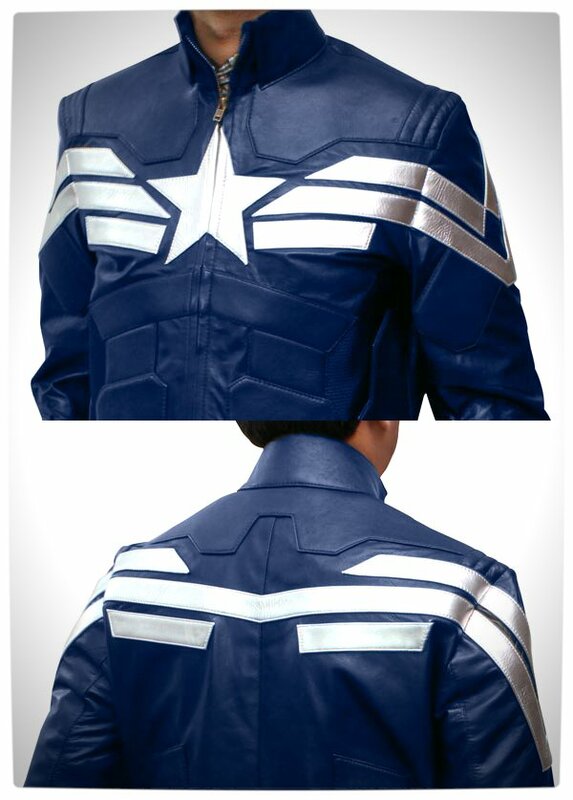 The Captain America: Winter Soldier Jacket is inspired by Captain America’s new film and is made of high quality blue leather (pleather is also an option) which is decorated with a silvery white and reflective star and stripes. The jacket also features additional padding around the deltoids and abdominal regions. The jacket has a front zipper closure as well as zip cuffs for the sleeves. The inner lining is viscose/rayon and has a soft cottony feel. The jacket is available in a variety of sizes from XS (42″) to XXXL (56″). 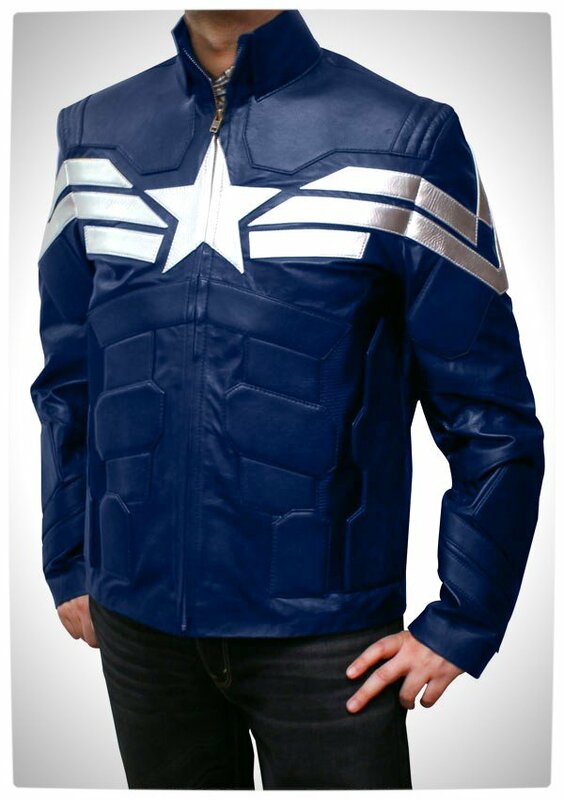 The leather variant of the Captain America: Winter Soldier Jacket has an estimated price of about R3500 (includes shipping and import duties). Pretty swanky, hey?